By choosing Unforgettable Incorporated, you will have a team of degreed professionals bringing your dream to reality while staying within your budget. It’s your wedding day. The last thing you want to be thinking about is flower arrangements, seating the family, and making sure the caterer is on time. You want to enjoy your special day, so why not let someone else take over? If you are the type of bride who wants to be involved in every detail or if you want someone to put the whole party together for you, consider a team to help you with all the planning and scheduling. Luckily, Unforgettable Incorporated does that and so much more. Professionals at organizing events, this team of wedding and party planners work hard to relieve a bride’s stress. You can choose all inclusive, half inclusive, or rehearsal and wedding day only. Need a budget list? Want someone to run the show on your day so you can focus on your soon-to-be? Whatever you decide, they help you keep everything on track for your important day without the headache that comes with doing it all yourself. Imagine the week of your wedding as stress-free where you can enjoy your company and visit family while your personal team takes care of every little detail. No need to schedule a last minute meeting with your caterer while getting your manicure! 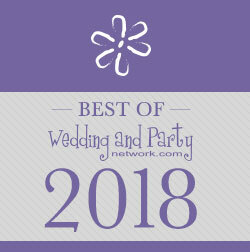 As winners of Best of Wedding.com 2013 and 2014 in the Wedding Planning category, they schedule all your appointments, mail your save-the-dates, do the event decorating to your specifications, and organize your wedding party on your special day! Their expertise speaks for itself. Holding their first wedding show, Unforgettable Wedding & Fashion Show in March 2014, you can feel at ease walking down the aisle without worrying if the wedding cake made it on time. Forget about the details and focus on having the best day ever. With their years of wedding planning experience, let Unforgettable Inc. make your dreams come true. This company did an outstanding job for my daughter's wedding! They bent over backwards to see that is was a MOST MEMORABLE wedding day, and with so much attention to every little detail. I highly recommend Unforgettable Inc., as is truly was an UNFORGETTABLE event! !